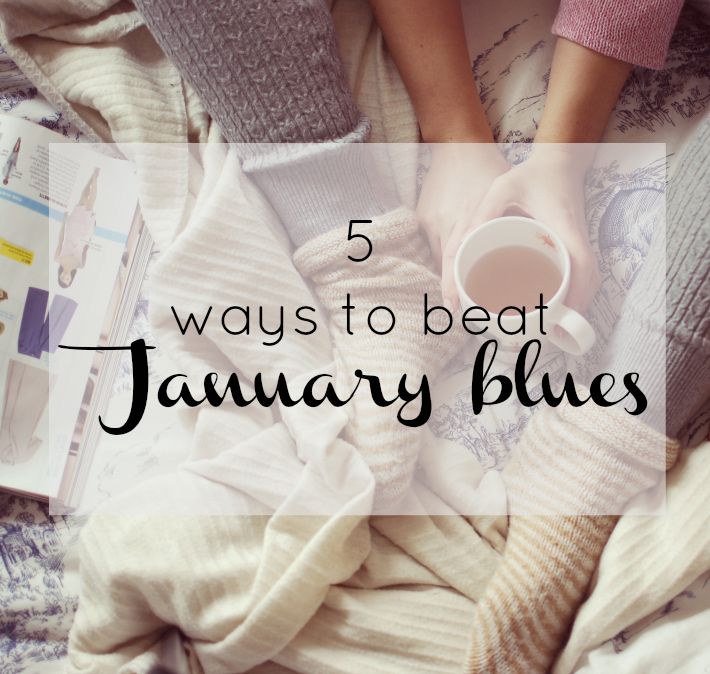 I often think January and February are the toughest months of the year. Mornings are dark and the weather often dreary. The cheery Christmas and New Year buzz of December has gone and Spring feels a million miles away. I’m usually somewhat broke from buying presents and the pressure of resolutions can feel a bit much. It just isn’t that much fun. However, there are a few things that always help cheer me up when the January blues threaten to sink down. Rubbish winter weather and little money means a lot more time spent at home, so I try to make a special effort to refresh my space. Moving furniture around to see what looks best, spring cleaning so everything is fresh and clean, going through my wardrobe to clear out the unwanted junk, finding proper homes for lovely Christmas presents, putting up new prints on the walls… Doing all those little things that make home feel like a cosy, pleasant space to be in. The New Year can be a little overwhelming, with us placing pressure on ourselves to make this the ‘best year ever’ and it is easy to get dejected. I always find getting myself organised makes whatever I have to tackle, feel like a more manageable task. Fill in that diary with the good things you have ahead, write short daily to do lists of those tasks you’ve been putting off for no real reason… Getting sh*t done, no matter how small, always improves my mood and makes life feel that bit more in control. Outside influences can have a big impact on your mood and I find when I’m already a little low, I’m especially susceptible to bad news going on in the world. At the moment, there are a whole host of news stories that are almost too horrible to contemplate and between things being on the radio and television, all over twitter and facebook, as well as in the newspapers, it is almost impossible to avoid them. Give yourself a break, step away from the world and allow yourself to sink into a different one for a while. Find a good book, a comfy spot to stay, and a hot drink and give yourself a few hours away from it all. It is the cure for everything, I swear. This is the first winter where I have had my own houseplants and goodness me it makes such a difference. There is just something about having a vibrant, green, living plant that makes a space feel so much brighter and more positive. Just one small plant on your bedside table, on a shelf, or even hung from the ceiling, that’s all you need. When you’re going to work in the dark and coming home in the dark, it is tough on your body and mind. If you can, try and go outside in the daylight for a few minutes to get some air, or at least take a moment to notice what the day is like outside the window whilst you work. If that really isn’t possible, make light in your home as enjoyable as possible. Keep up those fairy lights if they make you happier, light candles if that is your thing, have small lights on instead of the overheads; make the light in your space make you feel good. Do you have any tips to add? I’m always looking for ways to make these months a little easier to get through.